Gasmet CX4015 is designed for continuous monitoring applications in ambient conditions, such as workplace air monitoring and quality control applications. It can be used to measure up to 50 components simultaneously, and additional gases can be easily added without any hardware changes. The sample cell can be heated up to 50 °C, which allows measurements to be done in conditions where high humidity is expected and provides temperature stability in changing conditions. The CX4015 is fully equipped for fixed installations and it offers versatility and high performance for all industrial users. 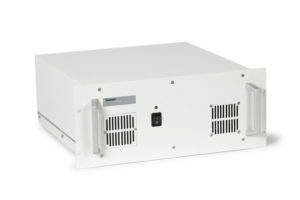 Gasmet CX4015 can be operated as an individual analyzer with an external pump and computer, or it can be integrated into a Gasmet Continuous Emissions Monitoring system (CEMS II e).